The most popular are zebra carpets, but we can also realize them with more rarer skins as tiger or cheetah. The polar bear is a mammal of the order Carnivora and Ursidae family. 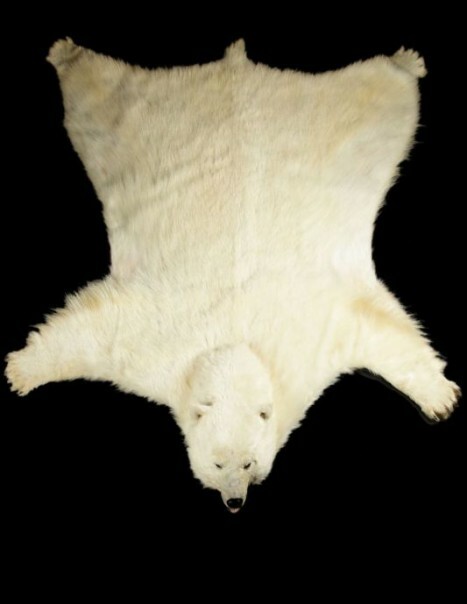 The polar bear is the largest terrestrial carnivore. Animal spikey on its feet, the male measuring 3m30 tall and weighs between 500kg and one tonne, the female is twice smaller. This solitary bear is very dangerous but clever as it slowly moves on the ice, taking care not to break the ice, it can travel long distances for months and find its lair without difficulty. It is also a good swimmer. Its senses are extremely well developed, sense of smell especially, it can smell its prey from miles away. Its waterproof fur and thick layer of fat enables it to withstand very low temperatures and stay in their dens for days without eating in the coldest winters, its white coat ensures a perfect camouflage for hunting or fleeing hunters . Polar bears use ice floes floating on water as a platform to hunt their prey. It feeds mainly on seals, walrus, beluga whales and fish. It absorbs large amounts of vitamin A. The male can fertilize until 4 years, while the female can be a mother at the age of 3. Its gestation lasts 8 months, during which time it lives in the den. It is able to fast until the birth of bear cup, no more than two cubs (700 to 900 g) every 3 years. They are breastfeed for a few weeks and then discover the outside world around four months. The bear takes care of them for 3 years, learning them hunting and choosing a den. This animal lives on the sea ice around the North Pole, on the edge of the Arctic Ocean. The polar bear is in danger, climate change funds which reduces sea ice habitat. 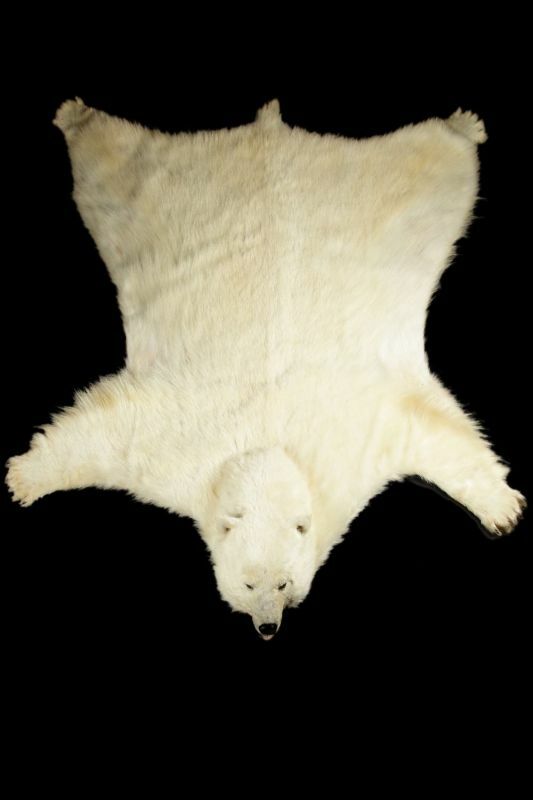 Polar bears are now classified as “vulnerable”.